R. Miles Stalvey, Jr. has been a licensed property and casualty broker for over thirty years where he has proudly served businesses and families throughout his home state of South Carolina. Miles grew up along the banks of the Waccamaw River in Conway, spending his summers in Garden City. He attended Wofford College, graduating in 1991 with a degree in English. After a brief career in banking, he moved into the insurance industry where he earned his Certified Insurance Counselor designation in 1997. He and his family moved to James Island in 1999 where they have developed strong roots in the community. 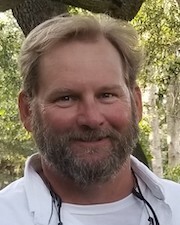 Miles has served on the board of directors for several organizations including the Maritime Association of South Carolina, the James Island Yacht Club, and the James Island Youth Soccer Club. Once an elder at Second Presbyterian Church, Miles and his family are now members of James Island Presbyterian Church. In his free time, Miles enjoys fishing, hunting, and boating with family and friends. He and his wife have three wonderful young adult children and relish time spent with them. Contact Miles Stalvey today at 843.806.3911 or email: MStalvey@kinghornagency.com.